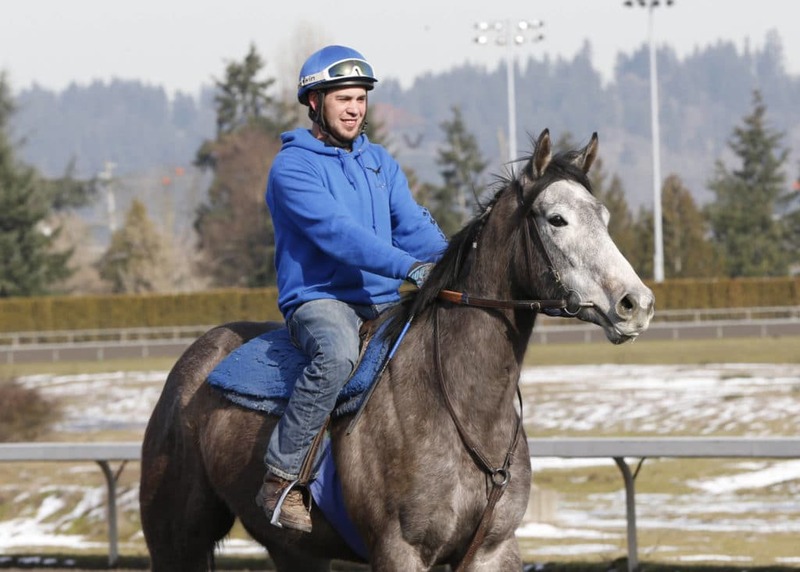 AUBURN, Wash. (February 7, 2019) – Over 200 horses were on the grounds Thursday as Thoroughbreds belatedly began training for the 2019 live racing season at Emerald Downs Racetrack & Casino. Sweet Sophie Grace, a 4-year-old Curlin filly trained by Roy Lumm, was the first horse on the track, jogging one mile under exercise rider Miguel Landeros at 11:35 a.m..
Director of Racing Bret Anderson reports 248 horses on the grounds and expects the horse population to swell to nearly 1,000 by opening day on Saturday, April 20. Training, scheduled to begin Monday, was postponed until Thursday due to a weekend snowstorm and lingering cold and icy conditions. More snow is expected Friday and could affect training this weekend. Normal training hours are 8 a.m. to 12:30 p.m. daily with no renovation break. Beginning Wednesday, February 20, training hours are 7:30 to 12:30 with renovation from 10 to 10:30. 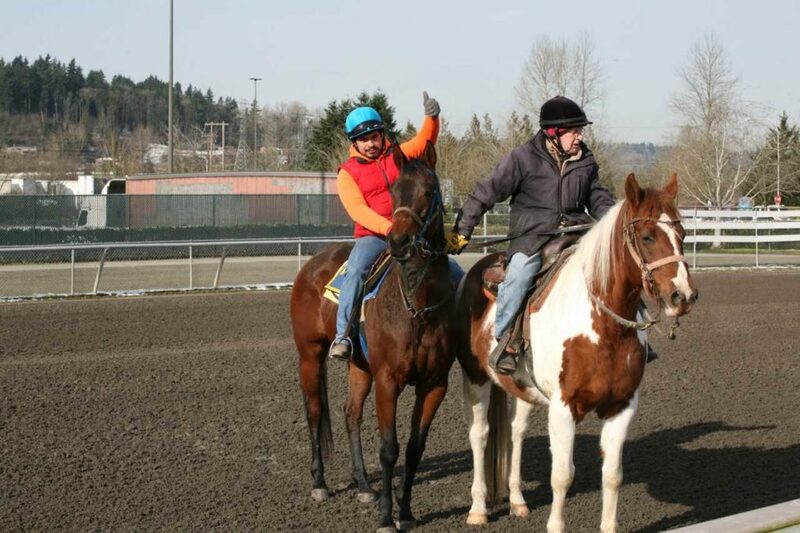 The 67-day meeting begins with a 24 Carat Giveaway on April 20, while the stakes schedule begins Sunday, May 12 with the $50,000 Seattle Stakes for 3-year-old fillies. The 84th renewal of the $200,000 Longacres Mile (G3) is Sunday, August 11, and anchors a Championship Sunday quadruple-header featuring the Emerald Distaff, Muckleshoot Derby and Washington Oaks .